As so many of you have asked for it, I am going to be bringing you some posts about style on a budget. Many of us are thinking about sustainable clothing and buying less fast fashion, disposable pieces, but if you are also on a small budget it can be hard to do. It would be so easy to go to Primark where you can get T-shirts for just a few pounds, if that is all you have to spend. But personally I can’t justify that because if the T-shirt is only costing me a couple of pounds, how much is the person getting paid that made it? I though for this Style on a budget post it might be useful to give you some suggestions for what to look for to get the most from your budget without the moral dilemma. 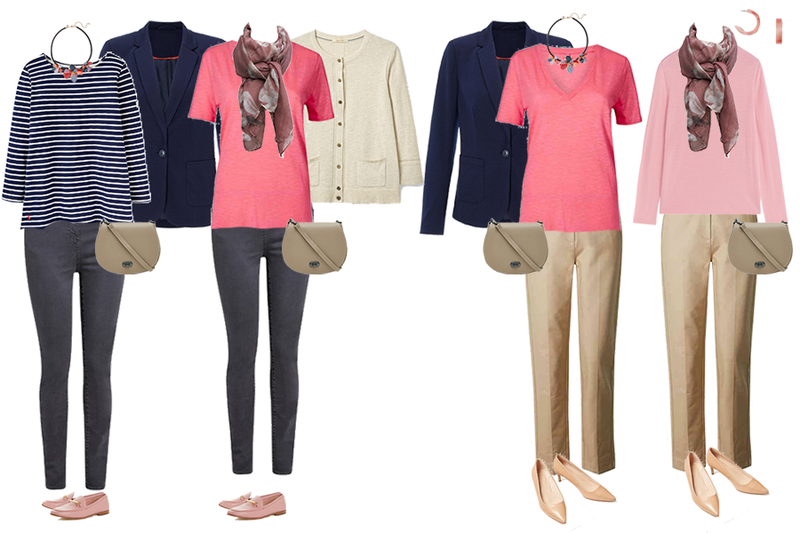 For these wardrobe basics I have picked mostly neutral and added a pop of pink as it is such a big trend colour this season (these pink pieces come in other colours too) I have also added some accessories to personalise the outfits. For items that are wardrobe basics, that you wear on a regular basis, I think it is worth looking at classics that won’t date and in fabrics that wear and wash well. Buy items in natural fabrics if possible. In the pieces below, I have included a great smart casual pair of cotton trousers. They come in 7 colours (I’ve just picked a neutral here, but they have some lovely colours too) and a large range of sizes. They machine wash and have a bit of elastane, which makes them comfortable and helps recover their shape after wearing. At £25 they are a great option for a pair of trousers you can dress down for the weekend or wear to work. If you spend a few pounds on a T-shirt but it comes out of the wash with twisted seams and looks too scruffy to wear again, it’s false economy. I’m sure you all know about cost per wear and something that only gets worn once, even if it only cost you £3 pounds works out worse value for money than a top that costs £15 and that you wear 2 or 3 times a month over the Summer. Let’s say you wear it from April to August 3 times per month. That’s 15 wears or £1 per wear. And if you can still wear it next Summer too, the cost per wear comes down even more. For the same reason, I would try to buy shoes and bags in leather if they are items you want to get a lot of wear from. Synthetics are fine for items that you are wearing a few times for an evening out, but for your everyday shoes and bags, leather will last much longer. Suede is a less savvy buy for everyday too because it’s harder to care for, especially if you get caught out in the rain. For pieces to make your outfits more interesting and individual, you can’t beat good old M&S for costume jewellery. It is usually the first place I look for a necklace or earrings to elevate an outfit. They have such a great range and the prices are really good too. Of course I would also recommend Capsule Accessories, our patterned scarves are just £29 and are specially chosen because of the colours and our Italian leather bags are great quality for the price to compared to mid range High Street options. 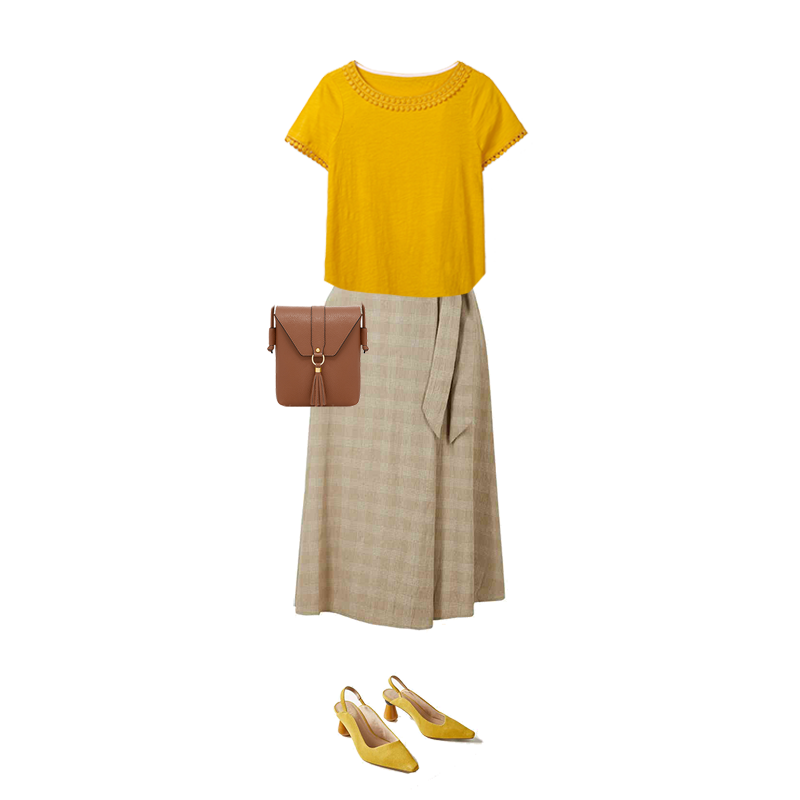 Here are some outfit ideas using these wardrobe basics. A jersey blazer that does casual and smart casual. Slim leg soft touch jeans – I wore these all of last Spring/Summer and they do some great colours and a crop version too. 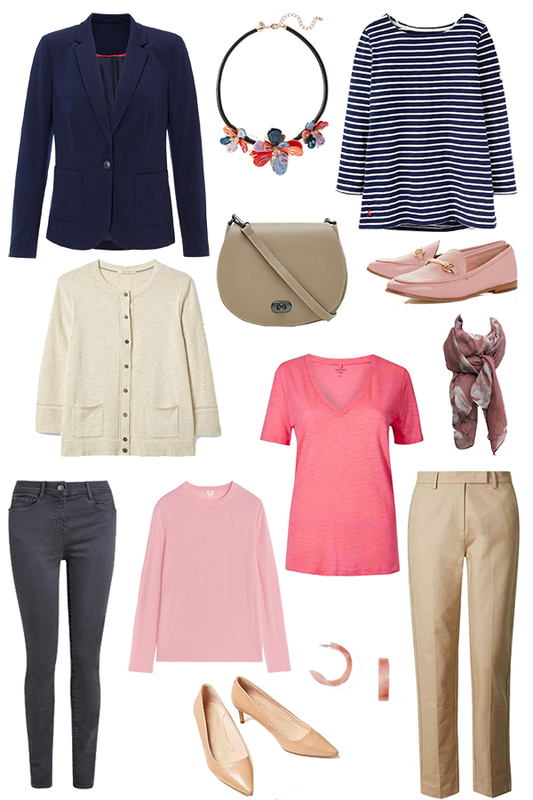 A Breton top – every Spring wardrobe needs one and this is great quality and a good length. Classic leather courts in a neutral for the Spring/Summer but also available in navy and black and in a comfortable kitten heel. Thank you for this post, Maria. I love the mix of navy and pink. Your outfits have inspired me to shop my wardrobe to create similar looks, although I might invest in some M&S earrings and a T-shirt. I loved this post , have bought Navy jacket and pink jumper. Just the smart casual look I’m looking for.